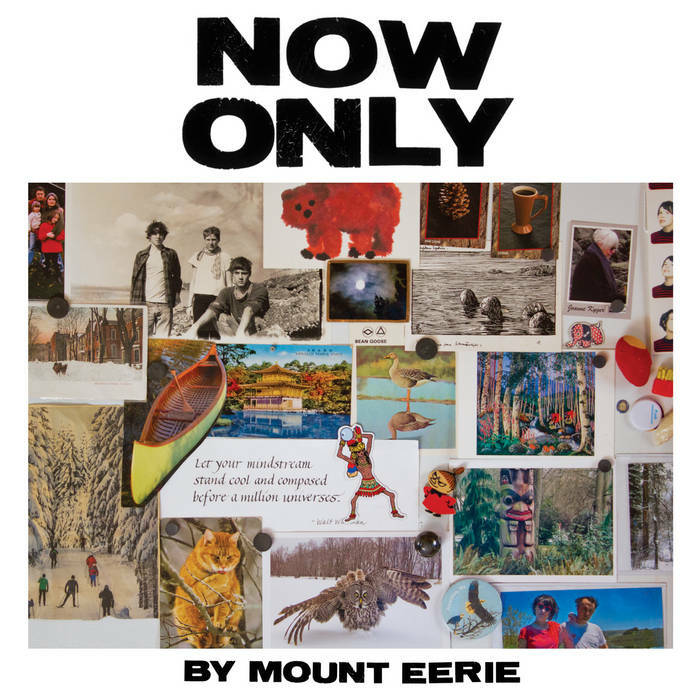 Mount Eerie’s A Crow Looked At Me was one of 2017’s best albums, and certainly its most unforgettable. A stunning work of unadorned grief, the album found Phil Elverum coping with the raw, unspeakable emotions of losing his wife, artist and musician Geneviève Castrée, to cancer. Elverum will continue and deepen that album’s themes on new LP Now Only, due out March 16 via his own P.W. Elverum & Sun. Lead single “Distortion,” released today alongside Elverum’s album announcement, is an 11-minute epic that opens with a dissonant cloud of electric guitar before giving way to tumbling acoustic notes and Elverum’s stark singing voice as he weaves together thoughts and memories into an elegy for his late love. “Is it my job now to hold whatever’s left of you for all time / and to re-enact you for our daughter’s life?” he asks, a man still learning to live in a world distorted by absence—a man who is Now Only. “But in my tears right now / light gleams,” Elverum finishes. A press release explains that Now Only will comprise “further ruminations on Castrée’s death and their life together, the effects of the sudden success of these intimate songs and the concept of remembrance.” Elverum wrote the album’s six tracks shortly after the release of A Crow Looked At Me and his first live performances of those devastatingly emotional songs. Also grappling with the overwhelmingly positive response to A Crow Looked At Me—”Is it okay for me to be doing well because of this tragic record?” he asked Paste last April. “Is it okay for me to like have a smile on my face ‘cause people are saying nice things to me? What does it all mean?”—and the tough reality of single fatherhood, Elverum used “the role of Phil Elverum of Mount Eerie” to deal with that duality.